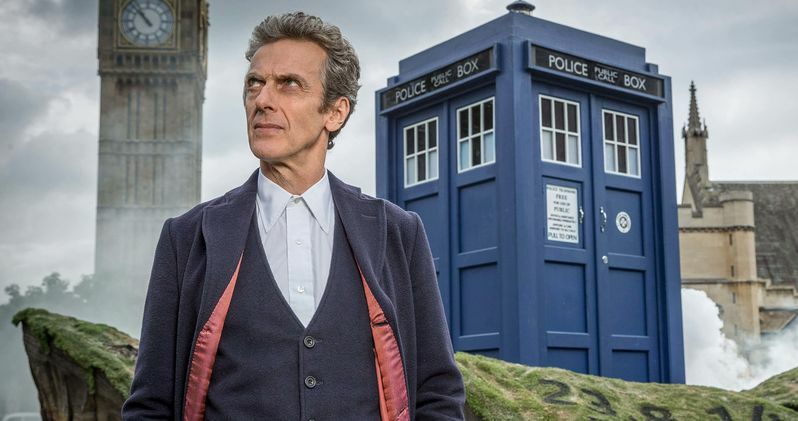 Is Doctor Who Season 11 Trading in Peter Capaldi for a Younger Doctor? It's been about a year since we've seen any new Doctor Who episodes, but that will change soon. The Return of Doctor Mysterio, this year's Doctor Who Christmas special, airs next month, and will once again see Peter Capaldi return as the Doctor. But the upcoming tenth season may very well be his last, according to a new rumor. British gossip site The Mirror is reporting that BBC may want to move in a very different direction with Doctor Who following season 10. Showrunner Steven Moffat will be leaving the show after the upcoming season and Broadchurch showrunner Chris Chibnall will be taking over the reigns. That being the case, The Mirror is reporting that the BBC wants to have a "clean slate" with a new, younger Doctor. Season 11 will also reportedly feature a new companion as well. Here is what the unnamed source told the publication. "BBC management wants a return to the format from the David Tennant era, when you had a dashing male lead and young female companion. Merchandising has dropped off sharply in recent years and there is a strong desire to boost the show's popularity among kids." Doctor Who exploded in popularity during the David Tennant years and remained insanely popular though Matt Smith's run. Season 10 will be the third to feature Peter Capaldi, who is not quite as young and apparently "dashing," in the eyes of the BBC. So after season 10 they may be wanting to move on and get themselves a classically handsome Doctor so they can slap his face on some merchandise for Hot Topic to sell. Three seasons is a reasonable run for the Doctor, so even if this is true, it isn't as though Peter Capaldi will have had a bad run as the famed Time Lord. That said, it would be very unfortunate if he is getting pushed out for reasons such as those cited by this source. It is also worth mentioning that Pearl Mackie, who is taking over companion duties for season 10 of Doctor who, reportedly only signed a one-year deal, so it would be pretty easy to replace her heading into season 11 as well. The Mirror is a big time gossip site, so none of what is being said in this report should be taken as gospel. Not only that, but Doctor Who season 10 still has to air and BBC needs to see how it is received before making any huge decisions. If this does wind up being true, speculation will surely begin somewhat soon as to who will be playing the next Doctor. Are you ready for a Peter Capaldi regeneration? Or would you like another season or two with the 12th Doctor?